As the brilliant sun rose out of the dark sky this morning, I was awestruck by the beauty of contrast. When the sun climbed higher in the sky and the light became more pervasive, the contrast was less visible. with no judgment or attachment. Just as darkness and light are neither bad nor good, I release these and all labels I’ve placed on people and circumstances in my life. This is not the first time I have done this. (Let’s hope “practice makes perfect!”) Years ago I had an epiphany that showed me the way to Heaven on Earth simply by embracing the Revolutionary Agreement, “I agree to honor our choices.” It’s a fun, short story I hope you’ll take time to enjoy. What intentions have you set during these first 12 days of the New Year? Please do share in the comment box below! And I’m waiting for you to follow me. “What am I free from?” I ponder. “The truth sets me free.” Seems a bit trite. Yet it reminds me that since the inception of the Revolutionary Agreements nearly 30 years ago, I have been practicing the Agreement to speak my truth, with compassion. For me that meant showing up fully authentically instead of saying what I thought would please others. Oh yes, that has set me free! Today I recommit to that Agreement and take it to a new level. I realize that the truth of my highest self is what I wish to hear and speak. I no longer feel compelled to “fix” others (nothing to fix! ), express uninvited opinions, or speak my projected judgments on another. On each of the first twelve days of the new year, I am following my friend Barbara Biziou’s sage advice to set a conscious intention. Won’t you join me? Please share your intentions in the comment space below. Today I choose to “Listen to the Knower.” As I draw a slow, deep breath into my heart, I can feel the shift from my analytical, “know-it-all” mind to my sacred connection with the Knower. From this calm, peaceful place, I can ask any question and in time the truth is revealed, with love. What is your intention for today? Remember, Barbara says that our intent for the second day of the New Year remains strong especially through the second month of the year. 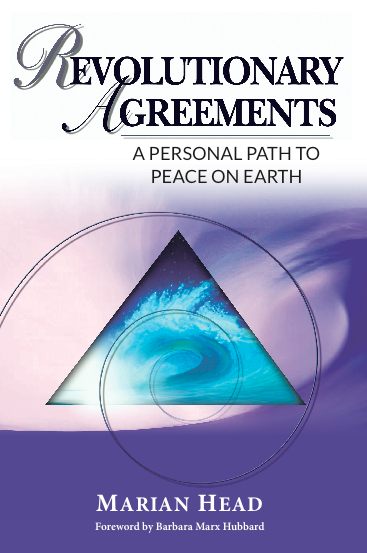 Might practicing one of the Revolutionary Agreements support your intention? “I agree to listen with my heart” is the one I embrace today. May your intentions be realized with ease! Can you change your genes? we do not have to be victims of our genes. I’m lucky. I did both at the same time. Nineteen years ago, at the age of 45, I began supplementing with a new class of nutrients called glyconutrients. The research and results solidified my strong belief that glyconutrients would make a significant contribution to a high quality life. I am now a healthy 64. Just after recovering from breast cancer, my 80-year old mom added glyconutrients to her diet. Today she is a healthy 96. While studies show that Ambrotose® Glyconutrient Complex supports our immune, digestive, memory and cognitive functions regardless of our state of health, it’s best to start when we’re feeling well so we’ll keep feeling well. Wait, wait you say, isn’t forgiveness GOOD? Well, yes, if you are sitting with resentment, anger, or judgment of any kind, then forgiving is good. Revolutionary Agreements #5-8 all reflect ACCEPTANCE. I’ve noticed that when I practice acceptance, I have less need to practice forgiveness. And that’s ok by me. How about you? Evolution: A process of gradual and relatively peaceful social, political and economic advance. Growth. Unfolding. In the years before blogs, we stayed connected through electronic newsletters. End of Winter 2010 – What Do You Choose? Summer’s End 2008 – Respect. Empower. Include. February 2007 – We’re All On the Same Team. December 2006 – Who am I? For older posts, click “More” below.